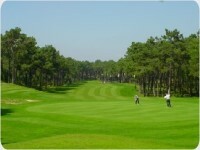 This is an adjacent course to Aroeira I and presents a different style of golf for the player. Due to the flat geographical nature of the land on which the fairways are laid the course is made more challenging by well placed bunkers, some of which are of "pot" character. 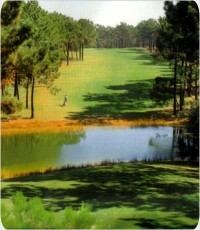 Water hazards are well provided for by five strategic placed lakes. Using fairly fast large greens of Penn A2 type grass a golfer on each hole is given the choice of five 5 teeing levels to chose from depending on their ability. The location has also been developed by the owners into a attractive family-style leisure centre.